Yes, we know it’s Sunday here in the UK… but the International Day for the Preservation of the Ozone Layer is an event that you can discuss & celebrate this week in school. The United Nations’ (UN) International Day for the Preservation of the Ozone Layer is celebrated on September 16 every year. This event commemorates the date of the signing of the Montreal Protocol on Substances that Deplete the Ozone Layer in 1987. On this day (and in the week that follows) primary and secondary school educators throughout the world are encouraged to offer classroom activities that focus on topics related to the ozone layer, climate change and ozone depletion. “The ozone layer, a fragile shield of gas, protects the Earth from the harmful portion of the rays of the sun, thus helping preserve life on the planet. Teachers can use educational packages from the UN Environment Programme (UNEP) that have been specifically tailored to address topics about the Earth’s ozone layer. 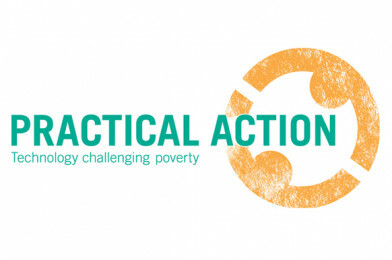 Practical Action have a range of Global Project Ideas including ‘Climate Action’. Global Project Ideas provide an excellent starting point for pupils wanting to do a project based on Global issues, these can be completed as part of the CREST Awards Scheme. This award can be completed in one day!